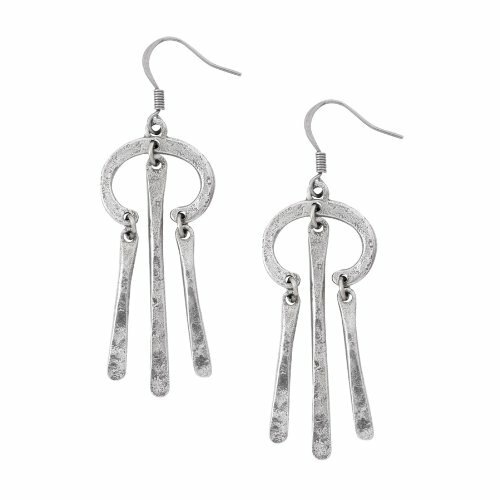 The Vibes pewter earrings are handcrafted from solid pewter in Middlebury, Vermont. The earrings wires are surgical steel and the earrings come packaged on a card. 1 3/4 inches long plus earrings wire.